Blue Line Metro riders could see some painful delays when the Silver Line opens July 26, but Metro announced a plan Wednesday to balance the problem. Up to half of all rush-hour Blue Line trains will now run with with eight cars and Metro said that this extra capacity will help with delays that the Silver Line will cause. Currently one Blue Line train per hour is scheduled to have eight cars, but Metro said they plan for up to six trains per hour to have the added cars. The added capacity will be important because two Blue Line trains per hour will be converted to Yellow Line trains. Starting July 21, Blue Line trains will run every 12 minutes, and while all Blue Line stations south of Pentagon station should be served by the same number of trains, riders hoping to travel north of that could experience significant delays. 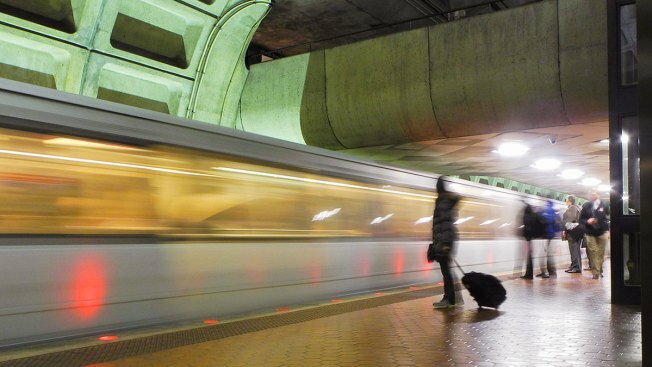 Metro encourages riders to consider the Yellow Line, which they say could still offer a faster commute, but passengers will have to change at L'Enfant Plaza. The number of trains with eight cars the on Orange, Red and Green lines will not change, while all trains on the Yellow and Silver lines will run with six cars.